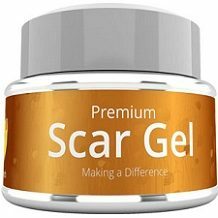 Today we review Healing Touch Premium Scar Gel. Perfect for sensitive and thin skin, this cream offers a formula that won’t itch, burn, or sting when you apply it. By flattening and softening your skin, your scars will seem to disappear. This ingredient list seems to be missing many of the most essential nutrients typically used in scar removal creams. Nutrients like Vitamin C or Aloe Vera are essential to healing the skin and allowing it to return to its more natural look. Before using this lotion, you should gently wash the affected area. Once clean, massage the cream into your affected skin until it is completely absorbed. This lotion works for all types of scars, including stretch marks, acne scars, and even burn scars. To see the full results of this product, you must continuously use it for 8-12 weeks. While the manufacturer lists no possible side effects and even boasts that this cream does not sting or burn when applied, many customers reported having problems with this product. From terrible acne to a red rash, many customers had bad reactions when applying this cream. Other customers even reported that the area around their scar became sore and tender after applying this cream. The manufacturer does not sell their product directly to the consumers. Instead, they offer a link to an Amazon page where you can purchase this lotion. There are two jar sizes available, a 1 ounce or a 2 ounce size. For the smaller container, it costs $39.97 while the larger jar costs $69.98. For such a small amount of cream, this is insanely expensive. Many customer reviews pointed out that they were fooled by the high price. Thinking that such an expense warranted better quality, they bought this product, but unfortunately, many of these customers reported no change in their scars. Almost 30% of customers left only 1 or 2 star reviews for this product on Amazon. Like most manufacturers that do not sell their products directly to the customer, this company offers no money back guarantee and they do not even list a refund policy on their website. While they have a Contact Us page, customers reported that the company is unresponsive and some people have waited weeks for replies. 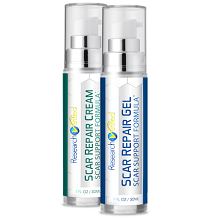 There are a few things we liked about Healing Touch Premium Scar Gel. First of all, this lotion is OK to use on all scar types. Also, when applied, there is no burning or itching sensation that typically comes with this type of cream. Unfortunately, we found many more negative points about this product than we did positives. The ingredient list is missing some of the most essential skin care nutrients. Secondly, it can take up to 3 months of applying this cream everyday before finally seeing results. Next, customers reported many side effects, like rashes or acne upon use of this lotion. Also, the price of this cream is outrageous when compared to similar products. Lastly, there is no guarantee for unhappy customers. For these reasons, we cannot recommend this product to help you diminish the look of your scars.